A display of his personal belongings is opening at the John F. Kennedy Presidential Library and Museum. By Caroline Schagrin·	 5/24/2017, 5:07 p.m.
What better way to celebrate the 100th anniversary of the birth of John F. Kennedy than by stepping inside a room filled with his mementos? 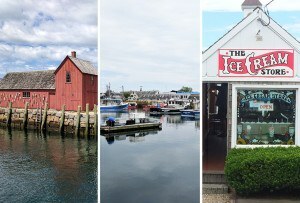 As a part of a five-day centennial celebration happening this Memorial Day weekend, the John F. Kennedy Presidential Library and Museum is debuting JFK 100: Milestones and Mementos, an exhibit that chronicles his life through personal objects and notes. 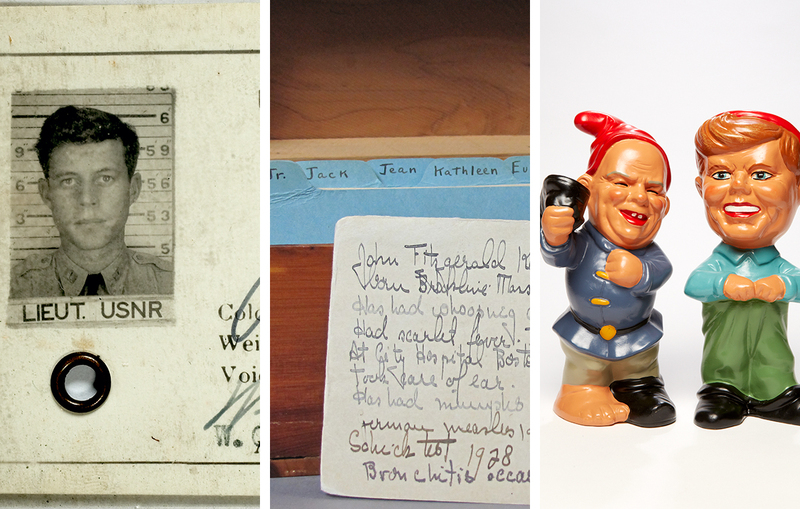 One of the quirkier items in the collection is a set of six caricature garden gnomes depicting Cold War leaders. In the photos below, you’ll see a gnome on the right representing JFK, and one on the left representing a shoeless Premier Nikita Khrushchev. It’s a reference to when the Soviet leader angrily removed one shoe and waved it in the air while addressing an international audience in the 1960s. Preview more mementos below, and check out JFK 100: Milestones & Mementos beginning Friday, May 26, at the John F. Kennedy Presidential Library and Museum, Columbia Point, Boston, jfkcentennial.org. 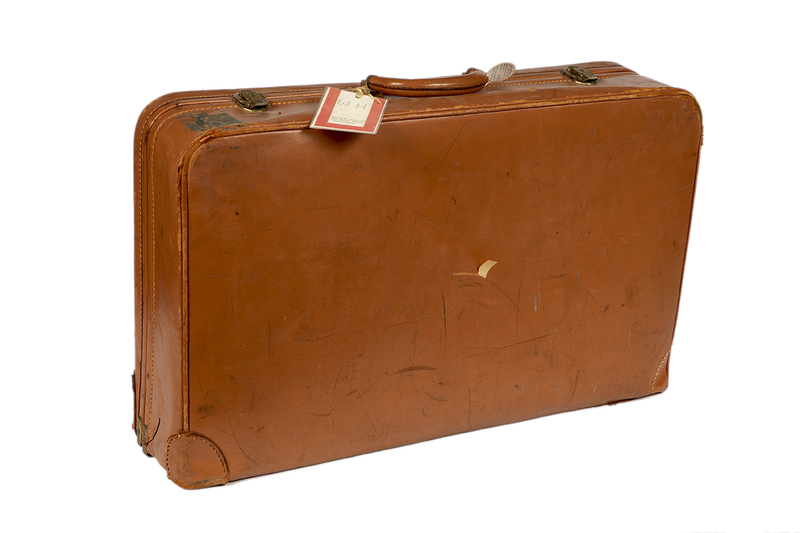 This brown leather suitcase suitcase was used by Senator John F. Kennedy during the 1960 Presidential primaries and general election campaign. 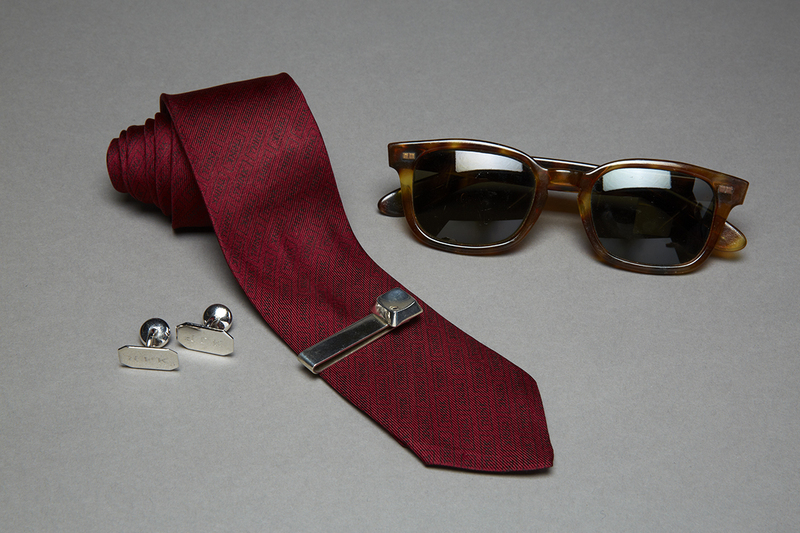 JFK’s personal wardrobe included these sunglasses, cuff links, tie clip, and necktie. The word “Think” is repeated in the tie. 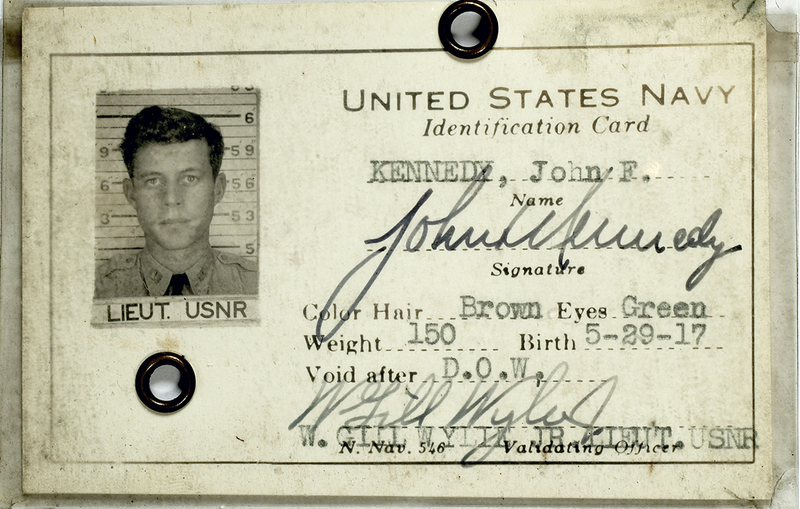 JFK’s United States Navy identification card has his signature, hair color, eye color, weight, and birth date. 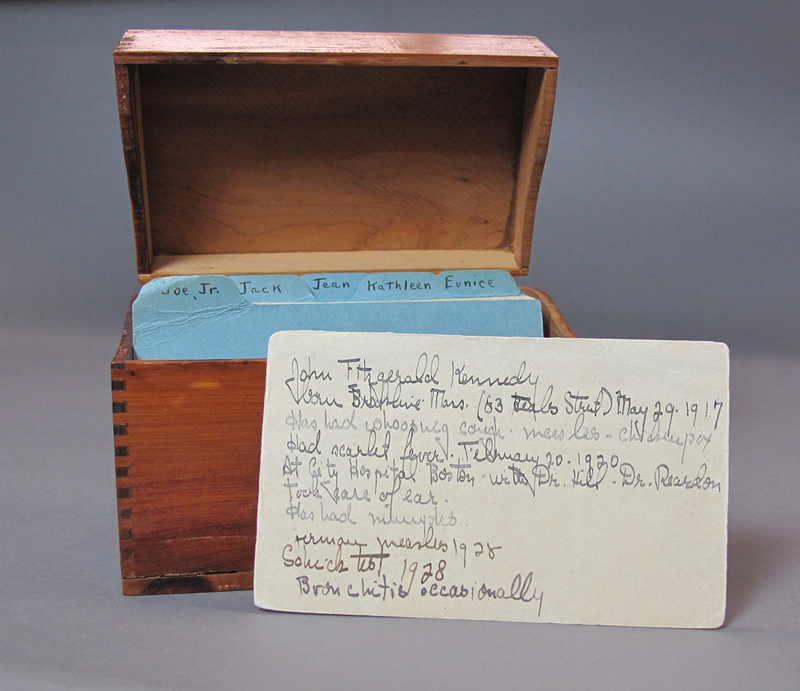 The health records of all nine Kennedy children were maintained by Rose Kennedy in this card file system. 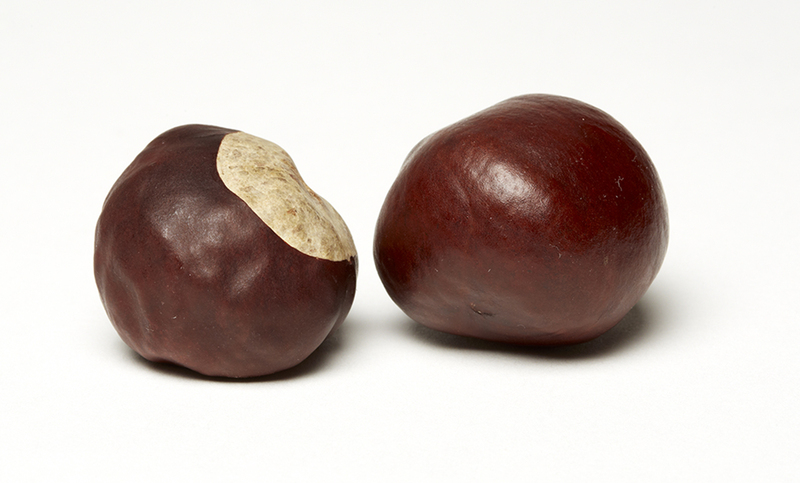 These two chestnuts were found on White House grounds by Caroline and John Jr. and given to their father. 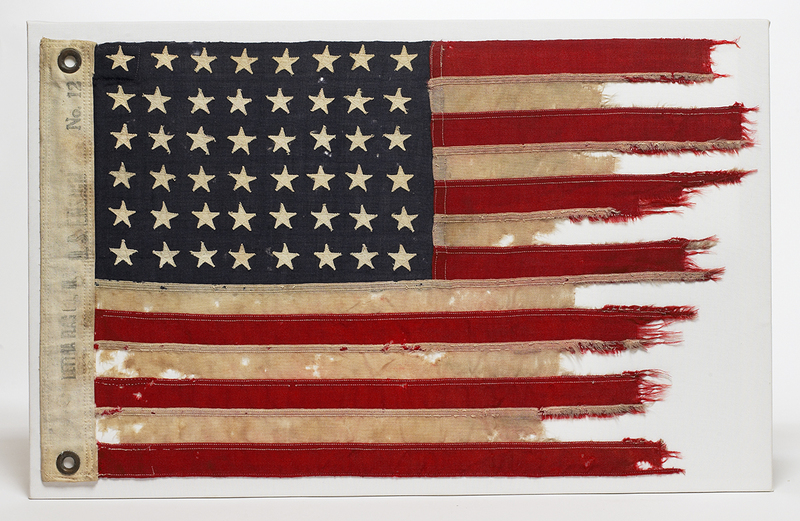 This United States flag flew from PT 109 motor torpedo boat, the vessel during Lieutenant John F. Kennedy’s command in April-August of 1943. 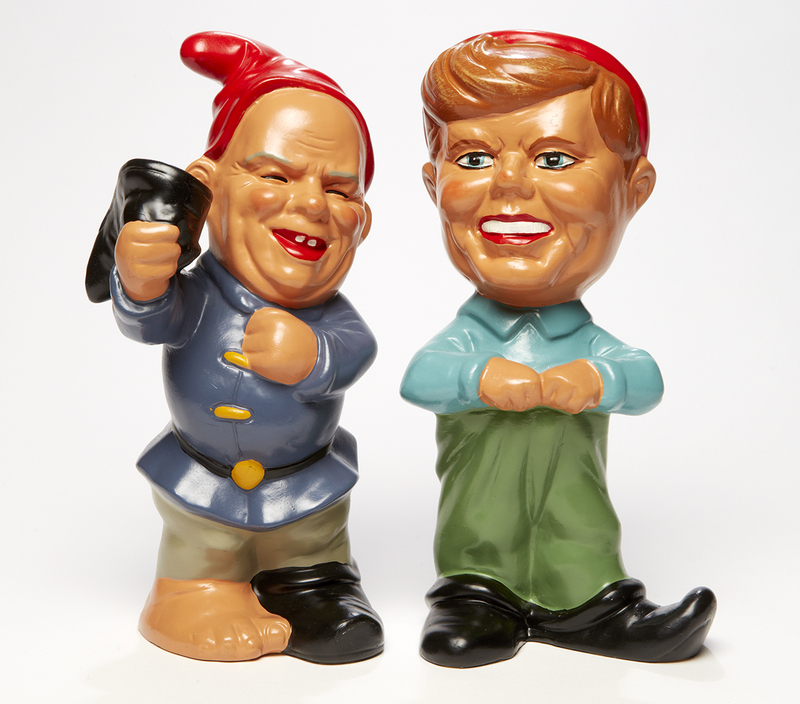 These garden gnomes portray JFK and Premier Nikita Khrushchev. A set of six gnomes—each one a caricature of a Cold War leader—was a gift to President Kennedy from a citizen of West Germany. 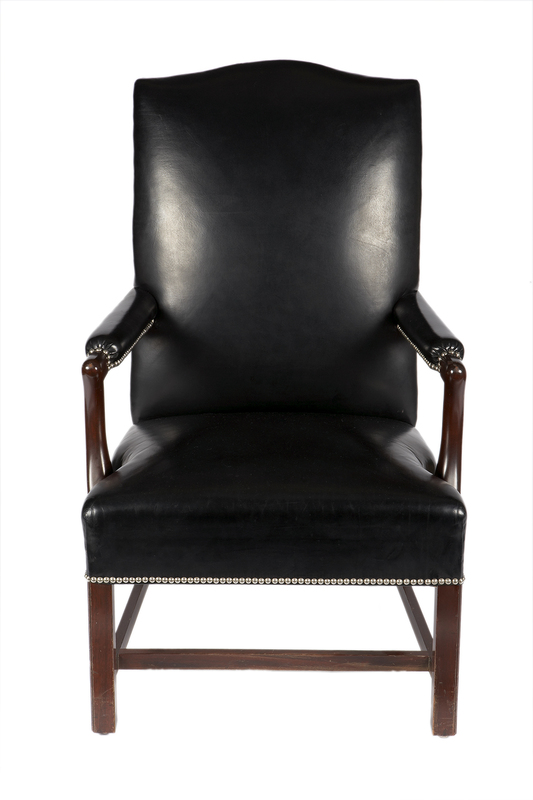 This black leather high-backed armchair was President John F. Kennedy’s Cabinet Room chair at the White House.